Almost 11 years ago, Rosemarie Schuere was reading a copy of Around Ealing, the Council’s magazine, when she was hooked by an article on fostering. It changed her life. Now she is hoping to inspire someone in the same way she was. 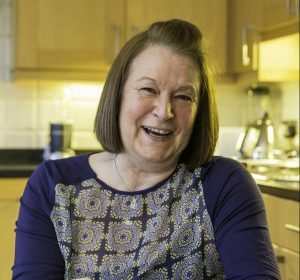 “I had worked with children before but I was reading the article and there was a lady called Maxine talking about fostering and I thought ‘I could do that’. Since then, once she went through the approval process to become a foster carer, Rosemarie has cared for children of all ages, from two-day-old babies to teenagers. Rosemarie even provided long-term foster care for a seven-year-old up until they turned 16. She has also had several children at a time, when she became more experienced. “Fostering is a life-changer – everything becomes about that child,” Rosemarie said. “It is very rewarding. You have to have a sense of humour, empathy, patience and, although it sounds obvious, to actually like children. But they become part of your family. “I always say the same thing to each one at the beginning: ‘I’m going to look after you, care for you and keep you safe’. You watch their development and it is always difficult to say goodbye to them when the time comes. The first one is so hard, but you become more prepared for it.